When the kids are at home, I try to prepare a simple dinner that doesn't require too much time in the kitchen or over the stove. Usually, that will mean using the oven (roasts and grills), braising or steaming. 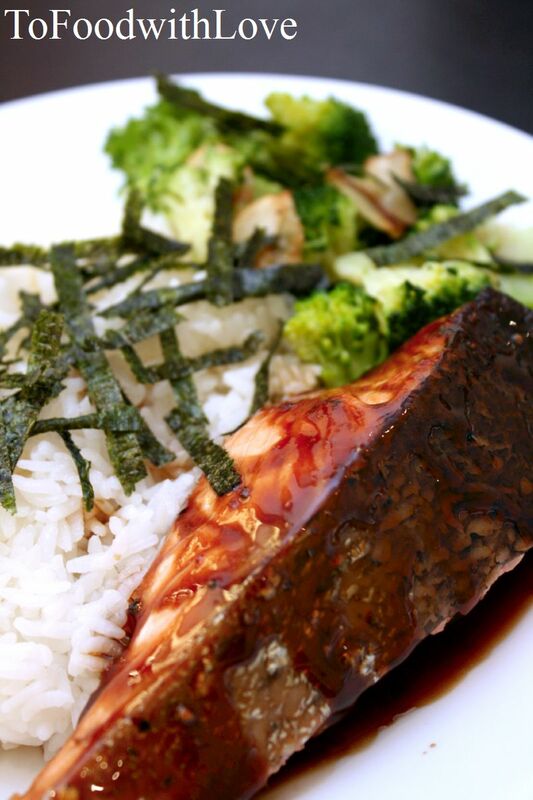 Somehow, japanese food can be so simple to prepare with such basic ingredients, which is why I decided on baked salmon teriyaki with a simple steamed broccoli. Quick, simple and delicious. Coat the salmon with some of the marinade and stand for 10 minutes. Place in an oven-proof dish skin-side up and bake in oven (top rack) for about 10 minutes (depending on thickness of the salmon) until almost done. Baste with marinade once or twice while baking. Then, turn the broiler/grill on and let skin crisp up for about 3 minutes. Do not overcook. Place the rest of the marinade in a saucepan and bring to a simmer, and cook till reduced to a thick syrupy consistency. Drizzle over salmon and serve with japanese sushi rice. Steam broccoli until cooked. Alternatively, blanch in a pot of salted boiling water with a dash of oil added to it. Remove, drain and place in a bowl/plate. Heat up oil in a small pan and fry garlic till light brown and crisp. Remove garlic and place on top of broccoli. Sprinkle a little salt to season. Add the seaweed to the pan with the garlic oil and sear for a few seconds. Remove from heat and carefully add the soy sauce into the pan. 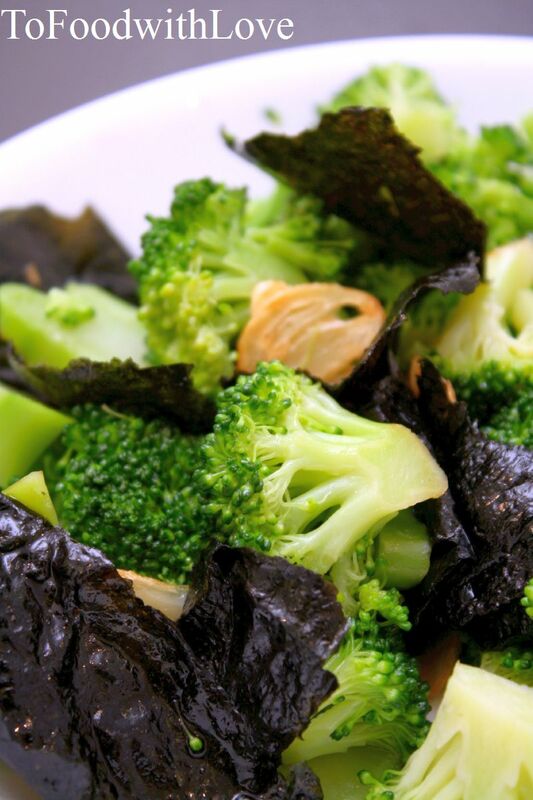 Pour onto broccoli, toss lightly and serve. This looks so yummy...good photo too....why do you live so far away!